Business To Business Telemarketing Programs | DRS Acquisitions, Inc.
Outbound Telemarketing programs are a proactive approach to marketing and powerful tools for businesses! 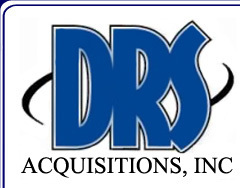 The decision to outsource your telemarketing to DRS Acquisitions, Inc. is a smart one. Setting up your own in house telemarketing campaign can be expensive and complicated. We have the Systems & Technologies along with the expertise needed to make your telemarketing program a success. Our SER (EIS) Encore Call Processing System together with our Telemarketing Service Representatives (TSR’s) makes it possible to connect with a large number of prospective companies in a relatively short period of time. More efficiency = more savings. Our TSR’s, with their neutral Midwest accent, are trained at getting past the gatekeepers, receptionists, secretaries and attendants to connect with the right person. We provide training in telephone-conversation techniques and monitor their performance continuously to help them improve. Our management team will report campaign call results daily so that you can easily and effectively measure campaign effectiveness stopping and resuming as needed. No longer will you need to hire and fire employees to accommodate your telemarketing needs. You can free up your staff to focus on the functions of your business and turn our leads into dollars for your company. In today’s market, marketing dollars are often being stretched to their limits. 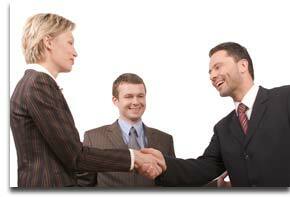 As a convenience to our Business to Business telemarketing clients we can assist you with list acquisition. We prepurchase these lists and pass the savings along to you at discounted rates. We have logged thousands of hours in Outbound Business to Business Telemarketing (B2B) programs for a wide variety of clients and have laid the foundation for many new business relationships. We know that we are an extension of your business! We strive to make your B2B Outbound Telemarketing program a success. Check out our Business to Business Telemarketing Programs, Call us today, and take the proactive approach!